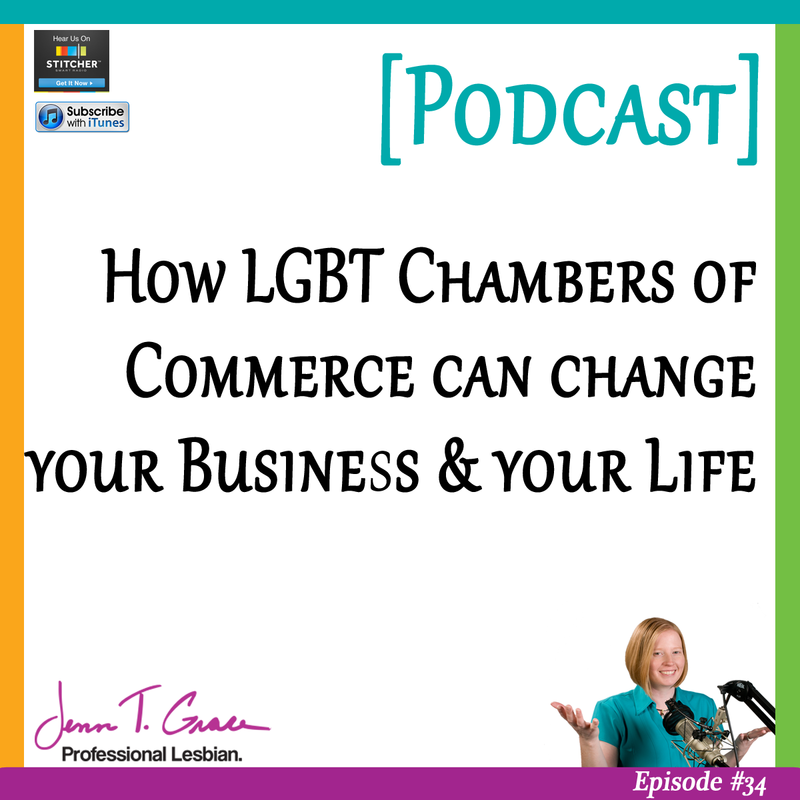 Today’s podcast is all about LGBT Chambers of Commerce. Yes, you’ve heard me talk about them in the past but today we do a deep dive in how they can change your business and possibly even your life. They have been a big part of my life since 2006 and I share my story of how it has transformed my business and life and why I think you’ll get benefit from them too! Have a listen and of course, let me know what you think. Sign up for the next webinar here! 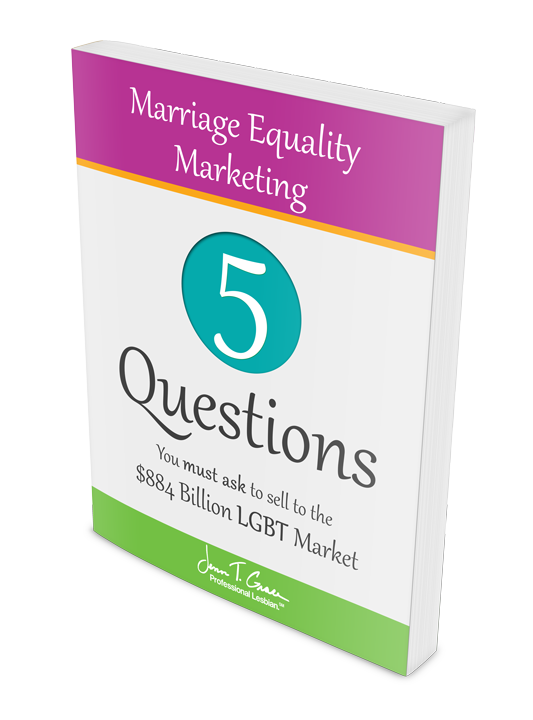 You are listening to the Gay Business and Marketing Made Easy Podcast, episode number 34. Hello and welcome to episode number 34 of the podcast. I am your host, Jenn Grace, and we are now in the beginning of May. I cannot believe it is May already, and Mother Nature is certainly telling us that it’s not quite May around these parts because it’s still pretty cold. I don’t know about where you live but it’s been ridiculously cold this past winter, and even now going into the spring. But alas, we can see that summer is just around the corner which I am very much looking forward to. So anyway, on today’s podcast I want to talk about LGBT Chambers of Commerce. 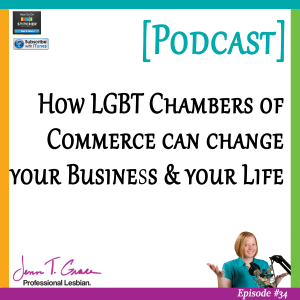 If you’ve been following me in any capacity, whether it’s on this podcast or on the blog, or maybe you’ve checked out a couple of webinars, in any way, shape or form, or even if you actually read my book, you’ll see that I have talked about LGBT Chambers of Commerce here and there and I’ve sprinkled information all around about why they’re important, why you should be involved, why that matters for your LGBT marketing initiatives. And today, it occurred to me that I have not actually dedicated a podcast solely to this topic. So that’s what I want to do with you today, but before I get into that I do want to give you a couple of announcements. So the first one being that my next webinar is on May 21st. 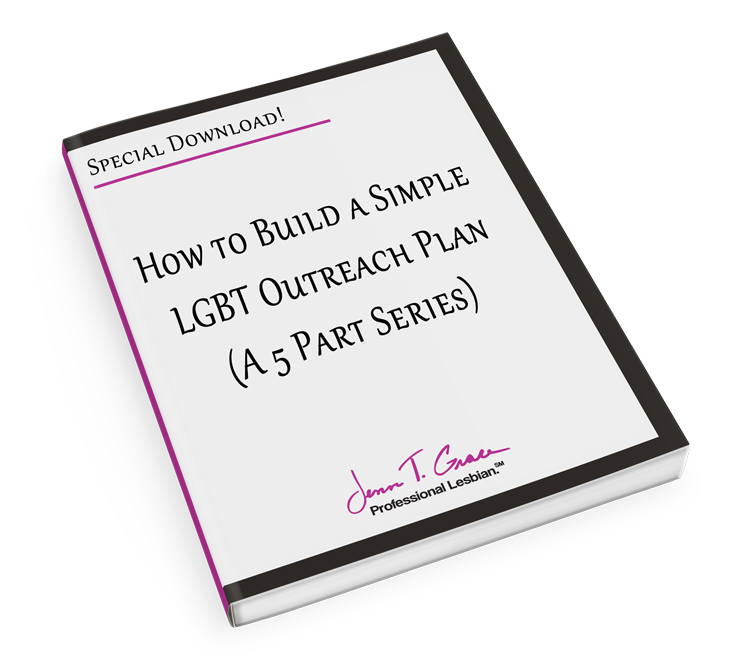 And if you’ve attended any of my recent webinars, I always have a very similar beginning where it’s just kind of like an overview of the LGBT community. I like to talk about who- what the preferences are in terms of what terminology to use, I like to give some stats and some numbers and figures to help you really understand the type of market opportunity that might exist for your business, and then I go into a case study. And so this month I want to focus on Mozilla, which is the owner of Firefox, or Firefox is a product of Mozilla Corporation. And if you don’t use Firefox, it’s basically an Internet browser. And you may have seen the kerfuffle on the CEO basically being ousted by his own employees and board of directors, and it’s been quite the story to follow. And I did cover it briefly in the last webinar I did in April, but in this month on May 21st I do want to cover it in a little bit more detail. So if you are interested in checking that out and checking out my webinar, I would totally love to see you there. And you can get more information if you go to www.JennTGrace.com/webinars, and that will bring you right to the registration page. So I would love, love, love to see you there. Let’s see, so a couple other random things that I want to note is that I have gotten a couple of emails from folks asking how my running is going, and it’s always interesting because I get emails from many of you on a regular basis, and it’s always about ‘how can I change this piece of marketing, what do you think of this brochure, I just redid my website, what are your thoughts on it?’ And I love getting those types of emails because it just- it shows that you’re listening and you want to improve your marketing, and of course subsequently improving your bottom line. But it’s also cool to get emails where it’s just very friendly and casual, and you just want to check in on how this whole half marathon training is going. And I have to say that it has been quite a process, and it’s certainly not an easy process at all. But it’s actually really interesting, the thoughts that cross my mind when I’m just running by myself and I’m up to about six miles right now which isn’t great, but my half marathon isn’t until November, and I only have to do 13.1. So I feel like if I can get six miles down in May then I should be totally fine by November. But fingers crossed that that’s actually what happens. But essentially what occurs to me is that there is so much overlap between training- I guess for anything, the only thing I’m training for right now is running a half marathon, so I can’t really compare it to other types of training. But it occurs to me that if you think about your business as a marathon or a half marathon, or even a 5k, there’s so much that goes into making your business successful and a lot of times, like if you think about maybe you won an award, or maybe you got recognized for some particular community service that you’re doing in your local community, or basically any type of recognition where your physically being recognized by your peers. If you think about that in terms of a race, my thought of that would be you crossed the finish line and you get some kind of medal, you just get the badge of honor to be able to say, ‘Hey I crossed the finish line.’ And if you think about that as it relates to your business, think about all of the blood, sweat, tears, hard work, effort, dedication has to go into your business every single day that nobody actually sees you doing, and then they see that you just got recognized with this type of award. So maybe you won the Business Owner of the Year or the Community Advocate of the Year, or really any type of award like that; and people on the outside, they’re only seeing you in that light of having received that award, and could be looking at you and thinking, ‘Wow, I can’t believe he or she’s accomplished so much or X, Y and Z and it seems like the whole overnight success type of theory,’ when in actuality, we really don’t know how much effort that person has been putting in behind the scenes that nobody truly knows, sees or understands. So it’s been really interesting that I’ve been- these are the types of thoughts that are occurring to me as I’m running, because I’m out there running almost every single day, and I’m doing it quietly and by myself, and it’s just my time to kind of unwind and troubleshoot specific problems I have in my business. But then I put on Facebook or on Twitter, or wherever I happen to be posting, something about how I just completed my first 5k which was just a couple of weeks ago and I think I even mentioned it in the last podcast. And then the fact that I’m doing another 5k on May 10th. And it’s interesting because people are only seeing like, ‘Oh wow, she just decided to start running,’ and they’re not actually seeing any of the legwork- the physical struggles in some cases that are going on behind the scenes to actually be able to be in that spotlight for five seconds to run that race. So what I’m trying to say, and I feel like I’m rambling but if you listen to this podcast you fully understand that rambling is part of my shtick if you will. 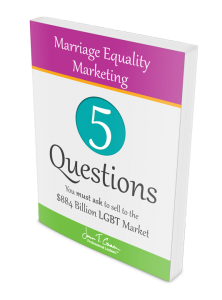 But what I’m trying to get at I guess, is that you really have to think about your business, and specifically thinking about your LGBT marketing as a marathon, and it’s not just a sprint. Because if you look at some of these companies that are doing really good for the LGBT community, they’ve been at it for a really long time, and they’ve been doing things behind the scenes for their employees and for their community that if you don’t live in that community or you don’t work for that company, you really have no idea that they’re doing that. And then you see them come out on the scene with some sort of great marketing campaign or they’re doing something really good for the community, and you don’t realize that they may have been putting in ten plus years of doing this type of truly integrative LGBT type of marketing. So I just wanted to bring that up, because I think a lot of times people can be skeptical of companies that kind of just pop up on the scene and they’re doing something really awesome for the community, and there’s a little bit of a cautious eye of saying like, ‘Hmm, how long have they been doing this? What’s their story behind doing this?’ And most of the time- I don’t want to say nine out of ten times which is what I was going to say, but I would say most of the time, those people have been doing it for a long time that you just haven’t seen yet. So just think of that- so think of your business as a marathon, think of your LGBT marketing efforts- you could actually think of your general marketing efforts; all as marathons where you have small wins throughout, but you’re really kind of training for that big- the big kahuna which would be getting your brand recognized broadly by whatever industry you’re in or whatever community you’re in, and ultimately you can run one marathon, you can run twenty marathons depending on how eager you are. So it’s just one of those things that I’ve really been thinking a lot about this, and it’s just something that popped up. So I thought I would share it with you because it seems so applicable to business, and I think I’ve heard people kind of make the analogy before about things aren’t a sprint, they’re a marathon, and I feel like until I’ve actually been in the mode of physically doing it myself, it hasn’t resonated nearly as much. So I just wanted to bring that up today. A total random note. But it also actually reminds me that I keep thinking that what a fun book it could be about just basically the crossover between marketing and marathons, and how many similarities there are actually are between the two. But that I think will be reserved for a third book, and what I do want to tell you is I’m actually prioritizing working on my second book. I’ve talked about working on a second book for- I would say it’s probably been since a couple weeks before I published the first one, I’ve been thinking about the second one and talking about it. But as of today, May 1st, I’ve decided that I’m going to take an active effort in doing my best to actually get that published sometime in the summer is hopefully my plan, and you know nothing ever always goes exactly according to plan, but that’s going to be what I’m aiming for, is to have another book for you guys sometime towards the end of the summer, maybe even early fall, that really focuses on the communications piece of LGBT and LGBT marketing. And the first book that I put out which is called, ‘But You Don’t Look Gay,’ and a shameless plug, it’s available on Amazon if you’re interested. But the first book was really focused on a little bit of communications and a little bit of building a marketing plan. And it’s kind of- it crosses into both communications and marketing, and this next one I really want to just focus on communications and then perhaps another one focused just on marketing. So I do have many, many big visions of having a handful of books coming out, but I need to be realistic and just focus on the second one. And if you have any input or insights as to what you may want to see in this book, I would love to hear it. Because it’s really going to focus on communications, so really talking about those do’s and the don’ts of reaching the LGBT community, talking about mannerisms and assumptions and insinuations, and really all the Seven Deadly Sins that I’ve spoke about before, and really just kind of putting it all into one big format that anybody can read cover to cover in a short period of time and just have a better understanding about how their communications can affect and will affect the LGBT customer or potential client that they’re speaking with. So that’s really, really interesting and really exciting for me to actually prioritize it, so if you have any insights on what you might like to see I would love to hear it. The importance of belonging to an LGBT Chamber of Commerce.. So let’s see. So talking about the book is actually a really natural transition into today’s topic. So what I want to talk to you about today is the importance of belonging to an LGBT Chamber of Commerce. So in the book I talk in a little bit of detail as part of my step-by-step process of getting involved in the community, it’s a matter of identifying a place that makes sense for your business to get involved, and in this particular case I do talk about LGBT Chambers and I talk about getting involved in other related non-profits or associations or organizations that matter to you and kind of have a good correlation with your business. But LGBT Chambers of Commerce in my opinion are hands down the most effective way to get immersed in the LGBT community. So today I want to talk in two parts, I guess. So the first part being a little bit of my background and why LGBT Chambers of Commerce have truly been a game changer for me in my business, and I know that for a lot of you who’ve been listening to this for a while, who’ve been following my blog for a while, or even are just friends with me, you probably have 80% of the story about the way that LGBT Chambers have had an impact on my life. But if you’re just listening to this for the first time, this will be- I think this will be interesting for you to hear, to really just get an understanding of how an LGBT Chamber can really, truly help your business if you approach it from the right way. So that’s certainly the first thing that I want to talk about. And then I really want to talk about why I’m bringing them up right now, at this juncture in the road as of May 1, 2014. So why are LGBT Chambers top of mind for me at this very moment. So that’s basically what I want to talk to you about today. So let’s get into it. So let’s talk Chambers of Commerce for a second. So if you are listening to this, and you are a small business owner or you’re a solopreneur, maybe you’re an insurance agent, a financial advisor; you are going to be very well versed and familiar with what a Chamber of Commerce is. And if you are working for maybe a corporation or you might be a marketing manager for a company, or let’s see- you could be any type of manager I guess for a company. And maybe you’re involved with the Employee Resource Group that’s involved around LGBT people; you may not know what a Chamber of Commerce is. And so let me just give you a little bit of my background here and I typically have some sort of guidance and notes of what I want to discuss in my podcast, but today I’m just kind of winging it because it’s my background so hopefully I remember my background correctly. But you know, who knows here. But what I want to just share with you and what I want the take-away to be for this conversation with you, is that LGBT Chambers of Commerce are really, really important for the community in which you live in. And one of the things is, is that you may be listening to this and you may be in an area where you don’t have one, and I’ll talk about the ways of finding that out shortly. But think about how you could actually start one. This is a crazy task, but it’s certainly something to consider if you don’t actually have one in your geographic area. But let me just share with you- because I did just mention how, you know if you’re working in maybe a corporation or you’re some sort of mid-level manager, you may not know what a Chamber of Commerce is because you’ve never really had to attend a Chamber meeting or network to try to bring in business for the company that you’re working for. So that was my experience. My first introduction to the National Gay and Lesbian Chamber of Commerce.. In 2006 I first learned about the National Gay and Lesbian Chamber of Commerce, which you’ll hear me refer to as NGLCC. And I’ve talked about NGLCC in many, many podcasts in the past, I’ve done a handful of interviews with top leaders of the NGLCC. So it should sound a little bit familiar to you, but if not you can certainly head over to the blog and you can find all of the past podcast interviews that I’ve done with a handful of people who are connected to the NGLCC in some way, shape or form. But essentially in 2006, I was working for an insurance company and I was somewhat of an unhappy camper, if you want to put it that way. And I was working- I was doing marketing, I was the Marketing Projects Manager, I was doing all sorts of very, very interesting stuff and I learned a ton about marketing while I was there. But I was just unhappy, and I was unhappy because I was in the closet, I was trying to kind of balance my personal life and my professional life, and it was the first job that I had that was in an office environment because I had come from a retail background, and retail is an entirely different animal than an office setting. So it was a little bit of a struggle for me, and one day I went to the CEO and basically told him that I wanted to resign. So instead of allowing me to resign he said, ‘Hey why don’t you bring back an idea to me that you think can generate the company $1 million in the next year, and it’s something that you would personally be responsible for,’ et cetera, et cetera. So I said, ‘Alright, let me see what I can come up with,’ and I spent a couple of days brainstorming like what exactly could I bring to the table that would be interesting to work on? And it happened to be I think the company should market to the LGBT community. And at the time- so we’re talking 2006, so about eight years ago, I really had absolutely no idea what that meant, I didn’t know what I was doing, I was basically just somebody who was in a marketing department who had a passion for marketing and my undergrad degree is actually communications, but my Master’s is in marketing. So it’s all stuff that I learned in school and knew how to do, but as it related to LGBT, the only connection I had there was the fact that I’m part of the community. So it was one of those things like, ‘Oh, alright I’m sure I can figure this out.’ And in my travels one of the first organizations I came across was the NGLCC. And I had absolutely no idea what on earth a Chamber of Commerce was or what it did. Of course I think growing up you always hear like, oh your town Chamber of Commerce is putting on like a pig roast or a barbeque or some random thing. So you know the word, or the phrase, of Chamber of Commerce but you don’t really understand what they do. And I certainly had no idea what they did, I really didn’t. And I just started looking into what the NGLCC did specifically, and what I found out really quickly is that a Chamber of Commerce is really a center hub for business activity in either a geographic area, whether it’s just a town, whether it’s a county, it could be an entire state. So it was really interesting to learn about this type of business. What- you know how Chambers of Commerce were really kind of there to help businesses grow and be bigger, be more successful, et cetera. So it was actually really interesting. And then you add the layer of LGBT on top of a Chamber of Commerce and really all it translates to is this Chamber of Commerce is designed to basically help the needs of LGBT business owners in, again a geographic area, maybe it’s regionalized, maybe it’s in a county, it could be an entire state, again. But basically there to help them grow, to be a catalyst for their business’ growth and the commonality now is whatever that geographic radius happens to be, but also the fact that they are part of the LGBT community, or in a lot of instances they’re allies to the LGBT community. So I began to understand who the NGLCC was, what they were doing for their members, and it was really interesting and it was very much- because they’re headquartered in Washington D.C. and they’re still in Washington D.C., and it was something that was very kind of like intangible to me, it was just something like, ‘Oh cool, this company is doing this?  This is awesome.’ Or ‘This organization is doing this, I want our company to be involved in it somehow.’ So in 2006 I joined our company- at the time, NGLCC had membership, now they don’t anymore because they’ve morphed, morphed quite a bit since 2006. But then, they had membership levels. So I said you know what, let me get my company involved in this and just kind of see where this takes us. So this is kind of where it was a total game changer for me personally. And what happened is in 2007- it was sometime in the summer of 2007. I had a woman reach out to me who basically was starting a Chamber of Commerce in Connecticut. And again, I knew a little bit about what the National Chamber was doing, but in Connecticut I had no idea what the landscape of Chambers looked like, I really had no idea of what the business community in Connecticut looked like; because I was the marketing manager, and I wasn’t responsible for being out there actually at events and networking. We had a sales team that was doing that. So I was definitely behind the scenes, putting together collateral, all that kind of stuff. And so that was in 2007 and it was really- like I look back at it now and I’m like, good Lord I was doing a lot of work. I was like around-the-clock doing all sorts of stuff in addition to having my actual full-time job. Where I was helping design the marketing materials, I was coordinating- helping with event coordination, I was helping try to recruit new members; so I was doing all sorts of random things, but what was great about it is that I was getting to connect with other LGBT people in the state who I had a commonality with outside of just being part of the community. Our commonality is that we wanted to help businesses in the state grow and be more prosperous and connect one another and all sorts of stuff that a traditional Chamber of Commerce would do. So it was really- a really interesting time for me, and it really truly grew rather quickly. Like my passion for LGBT marketing is really where this all had started, but my passion for LGBT business grew really, really fast. And it was really kind of like at a rapid- a rapid rate that things were occurring. So in early 2008 I was invited to be on the Board of Directors, which it took me about six months to prove myself. I think it was- I want to say it was like March of 2008 that I was able to actually join the board. And I basically had a six month waiting period, is kind of what it felt like because there were a couple of people on the board who thought I was too young to- I don’t know if it was too young to have good insights, or too young just because the sake of being too young for a Board; I really don’t know what the reservation was there. But it only took me about six months to show that I belonged at that table just like everybody else. So that was kind of- I remember that day too, that was a really- it felt good that day to be able to kind of overcome that perceived hurdle of age being an issue. So I was on the board in early 2008, and I stayed on the board until the end of 2009. Yeah, the end of 2009 where I had still been working for the same company. And in November of 2009 I basically- I took a leap of faith because I was very unhappy still with my employer, and I just didn’t feel like I had the right support to make this LGBT initiative for them work, and I had found this new love in this new community and this new sense of- like really kind of a sense of belonging with the LGBT Chamber members and the Board of Directors; and you know there are so many people that are just amazing and they’re still around today, and they’re still amazing. So it was one of those things that it’s like, I don’t need to have this company that mind you is paying me pretty well and paying the bills; but emotionally they were exhausting me, and it just wasn’t worth the stress that I felt. So I basically- I knew that our Chamber was growing rapidly, and we had just won an award for being the Rising Star, which is basically one of the- showing like the fastest growth in a given period of time. So we had just won this really cool award, and what I needed to figure out for myself was you know the Chamber was talking about like, ‘Oh we need to hire somebody.’ And for me, it was like, ‘Oh that could be an interesting thing. I would love to be the first Executive Director; how cool would that be?’ And I can actually remember having a conversation with my office mate at the time back in 2007 when the founder came in and talked to me that day to figure out if I wanted to be involved in the marketing committee. I said to her that very day- and she actually remembers this too. That I said, ‘Wouldn’t it be cool if I could be the first Executive Director of this organization?’ And this was in 2007 when hiring somebody was not on anyone’s even radar, and I had no idea what the hell a Chamber really even did at the time. But I had already had talked to her about how cool would that be. So on November 4th of 2009, I walked in and said, ‘You know what, I quit.’ And I was prepared to give my two weeks’ notice but they don’t- it’s not a company that accepted two week notices essentially. And you know I said, ‘I quit,’ and I walked out and I actually remember skipping out of the building, I’m not lying, I was skipping I was so excited. And a little bit nervous- I was more excited than anything, but a little bit of nervous like, ‘Okay did I just make the right decision? Who the hell knows, I guess we’ll find out.’ And on December 1st the Chamber entered the first contract with me. And so I only went less than a month of having that kind of like uncertainty of what was going to happen. But it was only- you know it was less than a month, it wasn’t really that stressful, it was actually quite nice to have a little bit of a break because the job was so mentally and like just mentally tasking on me. So it was nice to have a little bit of a reprieve. So that was December 1st of 2009 is where I first became an independent contractor which I remained as an independent contractor the whole time. And I was basically just picking up other odd jobs because my background is in website design and graphic design, and putting together business cards and all that kind of sales collateral. And so I picked up a handful of smaller clients like working with salons and working for like automotive companies; like all sorts of just random, small businesses. 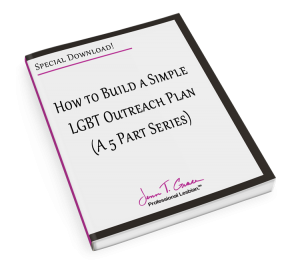 So I was able to be focused on growing membership for LGBT businesses, but I was also able to continue helping market just every day small businesses. So it was really- it was really an interesting time and my point for all of this is the fact that getting involved in something was just a complete game changer for me, and it’s really why I have the business I have now. Because I operated as the ED from December 1st of 2009 all the way to March 31st I believe it was, of 2013. So I did it for quite a few years, and in the time that I was doing it and being the Executive Director and talking with all these corporations and all of these businesses and all of these amazing LGBT people that were kind of just hidden around the state that I didn’t even realize were there. It was just amazing to talk to these new business owners. And what I found myself doing over and over again was going in to say, ‘Hey this is what the Chamber does, this is why I think you should belong, here are the benefits, let’s talk about this.’ And I seem to have some sort of natural personality where people want to tell me things that either A) they shouldn’t be telling me, or B) I’m certainly not qualified to be hearing these types of things, like in terms of like issues. And this has been the story of my life, and funny enough my wife is the same way. We both just have- we attract people to tell us things. And people would just start telling me about their business problems, and they would be explaining about hiring issues or any type of staffing issues, or perhaps their- somebody wants to buy them out, or they’re having marketing problems; it was all sorts of things that people would just- they developed a sense of trust with me and they just kind of felt like I was there- a confidant of some sort where they would just tell me all sorts of really- sometimes personal things as it related to their business. Sometimes things that were completely confidential, and you know I would hear from some of the major corporations here in the state where they’d be like, ‘Oh yeah, such-and-such is happening and you know it will be on the news at 6:00, or it will be on the news in a couple of day. Just make sure you don’t say anything to anyone.’ And of course I never did, I never betrayed anyone’s trust. But what it did do was allow me to just fully kind of understand what was happening in the Connecticut economy in terms of what’s going on with business, what are the business issues that are being legislated for, and how can I be a resource to you as an LGBT business owner, or just somebody who cares about the LGBT community? So I did that for about four years and it basically led me to this juncture in the road where I’ve been doing- I’ve had this business since- or I should say I rebranded basically in November of 2012 to really focus on LGBT marketing, and LGBT business development because previously as I mentioned I was an independent contractor for the Chamber, and I had other clients but they were all just kind of just small businesses. So I really just switched my focus entirely to say, ‘You know what I’m only going to focus on LGBT businesses and those who support them.’ And that’s kind of where I am right now, and I really appreciate you listening to this podcast, this episode in particular. I know that a lot of people have asked like, ‘What’s your story, but like what’s your whole story? Not just fragments of it.’ So I’m hoping that this really gives a good insight on kind of what my whole story is as it relates to LGBT. So that was my style. So if you’re listening to this, and maybe you are a little bit shy, you aren’t someone who enjoys going to networking events because let’s face it, not everyone does, myself included most of the time. You know, just think about ways that you can do it on your terms. And because ultimately the whole reason for saying this is if you want to market to the LGBT community in a really successful way- and when I say ‘successful’ I mean actually getting business from your marketing efforts because you can put together a great campaign, it can look beautiful and pretty, but ultimately if it’s not bringing in revenue then it’s not really doing its job. But you need to be out there networking, you need to be out there connecting people, and you need to be involved. So find ways that you can get involved in the Chamber, and you can be- maybe you want to be involved in membership, that’s another fantastic place to be, which I served- I don’t think I served as the membership chair specifically, but I was on the membership committee for a while, and basically my role there was to just reach out to people who had recently joined and just say, ‘Hey I heard that you just recently joined the Chamber, let’s talk about ways that you can get more benefits and more value from us. Can we get together and get together for a drink, get together for coffee, lunch, whatever it happens to be.’ And in that case again, you get to pull out into one-on-one conversations. So if that’s where you’re comfortable, find a way that you can get involved and have that comfort level because ultimately it really- it will really, really help your business grow because you’ll start to have deeper, more meaningful conversations with people who are then going to refer you to somebody else to have a more meaningful conversation with. And it kind of just spirals out from there. So I really think that if you have an LGBT Chamber in your area, you absolutely need to be involved in it, and I would be more than happy to make an introduction for you for- I do know people at most of the Chambers; not all, but most of them. So and if I don’t know somebody personally I can certainly find a way to get you in touch with that person. So what I would like to say is you should head over to www.NGLCC.org, and when you’re there, there is a tab that I believe is called ‘Affiliate Chambers.’ And it will list out all of the Chambers of Commerce that exist in the United States and international because there’s- I don’t know what the current total count is for international Chambers, but I want to say it’s something like eighteen; so there’s a lot internationally as well. So definitely start there and get yourself involved, and like I said I will make an introduction if you would like me to, to some of these folks. Because in addition to having the background of running a Chamber until last March- so it’s only been just about a year that I’ve been out of that paid Executive Director role, the- since 2010 maybe, 2011, I don’t even know what- I’m guessing maybe 2011, I have been working with the NGLCC on their Council of Chambers and Business Organizations, which is kind like just a big committee I guess if you want to put it into terms that we’ve talked about already. And there are a couple of us that all have a- we have a geographic footprint that we’re somewhat responsible for making sure that they’re engaged and making sure that they are using the NGLCC as a resource. So I happen to be the chair of the northeast and mid-Atlantic region. So the Chambers that are from Virginia through Maine are the ones that are in my geographic footprint; which you know I try to keep in touch with most of them on a regular- I shouldn’t say most of them- all of them on a regular basis. We have phone calls once a month where we just talk about what the Chamber’s needs are, how we can be a resource and all that kind of stuff. So that’s the reason why I have a lot of connections with the other area Chambers, because of that particular role. So I would be more than happy to put you in touch with some folks; and I’m really grateful if you’ve already reached out and have asked me to because I do get this request- it seems like it’s becoming more and more frequent which I think is amazing, because it just goes to show that you’re listening to my message of get involved. In my opinion, that’s going to be the number one way to your success, is by getting involved in your local community. So I am going to break for just a moment to share with you a quick commercial from the sponsors of this podcast, and when I come back I am going to explain why I’m talking about LGBT commerces today, as of May 1st. Alright, thank you to Mike for always being an awesome sponsor of this podcast. If you haven’t had a chance to check out www.MentalCompass.com, I totally encourage you to. Or at the very least check out their podcast because they talk about how to be a high performing business owner, and they have great insights. So definitely check them out. So as I was saying I am bringing up LGBT Chambers of Commerce specifically at this juncture in the road because as I just mentioned a couple minutes ago, I left my post as Executive Director in March of 2013 while I was branding this company starting in November of 2012. So there’s always been overlap because as an independent contractor I’ve always had a handful of clients all kind of happening at the same time. And one of the things that when I resigned as Executive Director to really focus on this full time, I took a hiatus off of the Board of Directors, and I went until just recently- I don’t know what the date was but it was sometime in the middle of March, where the organization reached out to me and basically said, ‘We are having some troubles and we are not in an overly healthy state as an organization, and we would love to see if you would come back as- come back in a leadership role for us.’ So that was an interesting, interesting- I don’t even know really how to put it. It was an interesting thing for me to kind of mull over and say, ‘Is this something that I really want to do? Do I really want to get re-engaged on any type of leadership level? Do I want to re-join the Board of Directors? Is this something that’s going to be good for my business?’ And of course this is going to be something good for my business, this is basically summing up everything that I’ve been telling you today. Is that being involved in the LGBT Chamber world can absolutely hands down, hands down, have a huge impact on your business. It’s just a matter of how much- how much of an impact you’re going to have it make, because of the amount of effort that you’re putting into it. So I decided that yes indeed I would get re-involved with the Chamber. I decided to reach out to a very dear friend of mine, Stacey, who was also previously on the Board at the same time that I was the Executive Director, she was on the Board. And we’ve always had a really good working relationship together, and I said to her, ‘You know what, I’m willing to re-join the Board if you are, and here’s what I think.’ So what ended up occurring is that I am now the Vice President of the Board and she is the President of the Board. And I bring this up just because it’s interesting to see how things can evolve and how things can shift. And I’m really excited right now about the possibilities of what the LGBT Chamber in Connecticut now will have. Because it’s kind of hit a rough spot over the last year or so, and I feel like that’s pretty obvious to everybody so I don’t really mind talking about it here on the podcast. But one of the things is that we are now rebranding. So we were called the Connecticut Alliance for Business Opportunities and that was a very cute logo that was red and purple, and just said CABO for short. So I know I’ve talked about it- I’ve talked about CABO in the past and I may have never actually elaborated on what CABO stood for. But that was what our name was, and we have rebranded into the Greater Connecticut Gay and Lesbian Chamber of Commerce, which we’ll be going by CTGLC. And it is super exciting because we have an amazing LGBT business owner who has created an awesome logo for us, we have some nice vibrant colors, we are just rebranding the whole organization to really focus on business growth, business development, how can we be a resource to make sure that your business has all the resources that it needs, how can we expand, et cetera. So it’s just really honestly exciting for me to be involved in this kind of- honestly it feels like I’m starting from scratch, and I helped build CABO in 2007 or 2006 when it didn’t even exist yet, and I helped bring it to the place of winning the Chamber of Year, and winning the Rising Star Chamber and being recognized by our peers for being a really good- a really good organization. And now as we stand here on May 1st, it a little bit feels like we are starting from square one, and while that’s a little bit of a daunting idea, it’s actually really, really exciting to think that, ‘Wow, while we had an amazing organization in the past, we had a good run while it lasted; we now have an opportunity to change everything and change it around and really become the organization that the people of Connecticut are looking for.’ So I am beyond thrilled to really be re-engaged. And in the last year I’ve still talked about LGBT Chambers, my business has been a member and will continue to be a member of the Chamber. And I still kept bringing it up and kept emphasizing the importance on my webinars, in blog posts, et cetera, but now it’s just kind of refuelled my passion for all things LGBT Chambers, it’s refuelled the excitement that I’ve always had, but I think over the last year it’s kind of laid dormant a little bit. But it’s all back now, and I’m really excited. And what’s just kind of an interesting tidbit is that I am connected, like I said, to so many of the LGBT Chambers across the country, and you have heard our sponsors here from Teazled a couple of times, and Dina- there’s actually two Dina’s that are the owners of Teazled, and one of them is also the President of the Gay and Lesbian Chamber of Commerce of Nevada. So I don’t know that I actually ever talked about Teazled being one of the founders of the Nevada LGBT Chamber of Commerce, but that’s pretty cool. So that’s just like a little fun fact so when you hear the commercial for Teazled in a couple of minutes, you’ll totally understand that, ‘Oh wow, that’s right. Dina is one of the founders of the Las Vegas Chamber.’ So that’s just a little fun fact I wanted to throw out there. And another little fun fact is the fact that the NGLCC National Conference is coming up in July, I believe the dates are July 29th through August 2nd, I think the dates are, which of course happen to coincide with my son’s birthday every year for the last couple of years which is always delightful, but that’s a side note. But really the NGLCC Conference is an amazing opportunity, and I’m telling you about this now because I know that the conference hotel is already close to being sold out, if not already, and I think it’s safe to say that being in the host hotel is always much easier when you attend conferences. And if you’re a member of the local Chamber, or if you’re a certified business owner, you get all sorts of amazing benefits by attending this conference. And it happens to be in Las Vegas this year. So Las Vegas is a city that is very easy to get to, it’s fairly inexpensive to travel to for most people. So I highly encourage you to check out the opportunities of attending the NGLCC conference. And last year it was really cool for me, because I talked about the conference last year, I actually did an interview with Justin Nelson who is the Founder and President of the NGLCC; I did an interview with him- I think it was last May probably, and we talked about the conference and why people should attend, et cetera. And it was so, so amazing, I really can’t express how exciting it was to actually meet a couple of people at the conference who had never heard of the NGLCC before, and who had never attended a conference before- not ‘a’ conference but had never attended an NGLCC conference or event or anything, and came just because I talked about it on the podcast, and I interviewed Justin. He talked about it on the podcast, and we were able to connect and meet up while there. So if you’re listening to this and you’re a business owner, I assure you that there are a ton of opportunities that you can have personally at the NGLCC Conference. And I would love nothing more than to be a connector for you, so if you do attend, number one absolutely find me, hit me up, send me an email, send me- connect with me through my website, however you need to get in touch with me because it is an amazing, amazing conference and I would love to meet you in person, but then additionally if I can be a resource to you and connect you with other businesses or corporations or whomever that might be a good connection for, I would love to be able to do that. So that’s just kind of my shameless plug for the conference which I get- just as a side note I get nothing for doing, I’m not being paid to endorse them or anything, I just really truly believe in what they do and so many of them just feel like family to me. So I want to make sure that you attend because I really value your listenership, and your readership, and you’re following me in everything that I’m doing that I wanted to give back to you somehow, and I think that this conference is an amazing way to do that. So I’m going to just kind of pop over and give you a little plug for Teazled quickly and then I have a quick announcement about the upcoming podcast on May 29th I believe. Alright, so that was just a quick little snippet from our friends at Teazled but since I’ve mentioned Teazled and Dina and the Greater- the Gay and Lesbian Chamber of Commerce of Nevada, I would love to share with you that I have plans on doing an interview with Dina, the Founder of Teazled and the Founder of the Chamber there. And that should be coming on May 29. So I’m really excited to do this interview with her; I’ve been wanting to for quite some time now, hopefully our schedules and our calendars align beautifully to make that happen. But I’m super excited to have her as one of my next guests, and there will be another interview- another podcast on May 15th as well, and that will be with Ann- I believe she says her last name Jenrett-Thomas, and I will- she’ll probably hear this and then have to correct me. But stay tuned on May 15th to listen to the interview with her. She’s an attorney who is doing amazing things for LGBT, so I want to really just dive into talking about what she has as tidbits for the LGBT community in addition to a whole host of other things. So anyway, that is all I’ve got for now. I would lastly like to encourage you to head over to the website at www.JennTGrace.com and check out the Gay Business Insider which is the mailing list that I send out every three to four weeks or so, I just kind of send over some information that I think will help you be better in your LGBT marketing initiatives. So I as always thank you so much for listening to this show, I really appreciate all that you do and all of your support, and if there’s any way that I can help you moving forward, please, please do not hesitate to reach out. Thank you so much and I will see you on May 15th. ← When is ok to “come out” to your doctor?